One week from today, Thailand Footprint will be one year old. That is a big deal to at least one person – me. I’ll recap the year a bit and publish one of the first things I wrote way back then – 365 days ago. I’ll tell you what I’ve learned and what I know. Whether you read it or not is, of course, always up to you. Thanks for stopping by as often as you have. An interview with Tom Vater will be the last interview in this inaugural year. As I’ve said before, when Tom Vater talks, I listen. In this case I think you’ll want to read what he has to say. Look for that interview this coming Thursday. 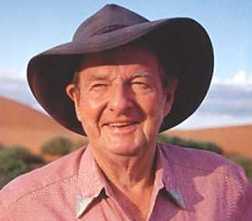 Until then, here is a little ditty by Slim Dusty, a singer-songwriter from one of my top three favorite countries, Australia. Slim is no longer with us, reminding us we only get to look forward and back for so long.